Rather watch our video on the key points to establishing a successful relationship with your banker? Click here. Today we’re going to talk a little bit about one of the most important relationships any business owner has — the relationship with his or her banker. As a business owner in the construction industry, you should make the relationship with your bank a key priority. You should also be prepared to answer some initial questions from your banker to set the stage for a successful relationship. 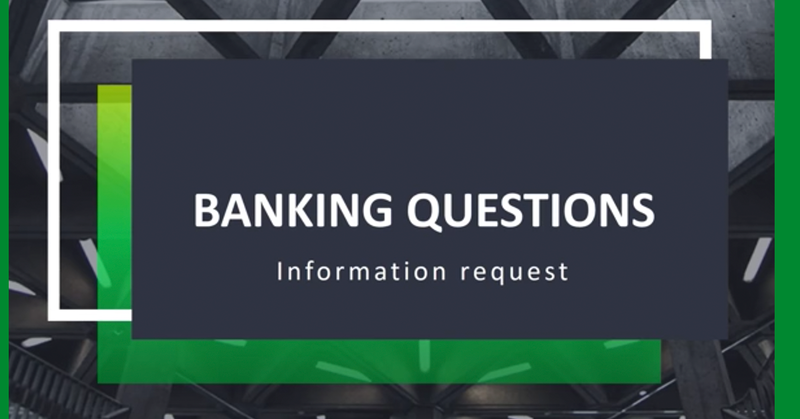 Below is a brief overview of the information a banker typically asks for. Some bankers will only ask for tax returns; others may also request a balance sheet and income statement (or profit and loss statement, depending on what your software calls it). Three years is the magic number, because this gives the banker enough history to identify any general trends related to how your business is doing or if you’re on track to achieve your financial goals. This is anything pertaining to your corporate structure and type of entity (LLC, S Corp, C Corp, etc.). Some examples of documentation bankers may ask for include articles of incorporation, member agreements, corporate agreements, or shareholder agreements. The other item that falls in this category is the accounting method under which your business operates. Are you cash basis, accrual basis, or percentage complete? Be prepared to share this information with your banker. It’s the question that business owners often dread: “What do you think the value of your company is?” It’s hard to know sometimes, but don’t panic! There are two places you can look that will provide some insight to help you answer this question. The first is the assets section of your balance sheet. What is the fair market value (FMV) of your assets? In other words, what would they be worth if you had to sell them today? The second place is the equity section at the end of your balance sheet, which indicates the amount of reported assets minus the amount of reported liabilities. Sharing this information with your banker allows them to gauge how much debt they can give you or how much risk they can afford with this relationship. As previously mentioned, this is just a brief overview of the information you should be prepared to share with your banker as you establish a relationship. It’s all about helping them to help you! For more on this topic, check out our Top 10 Ways to Increase Cash Flow or our Advanced Cash Flow Systems for Contractors course.